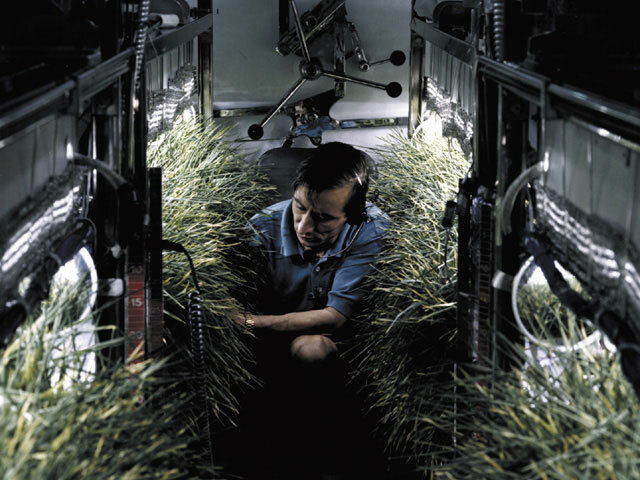 Researcher at NASA Johnson Space Center studies oxygen producing plants (Credits: NASA). Technology is not the answer for everything. Canadian scientists working on Life Support Systems for long duration missions have known this for a long time. Instead of developing sophisticated systems for recycling carbon dioxide and waste or providing water, food, and oxygen, they seek inspiration in nature. Plants have successfully provided food and air on Earth for millions of years, so why couldn’t they help in space? Before such a question can be answered, scientists must still study many aspects of plant life in space. For instance, does the space environment inhibit seed germination processes? Canadian researchers are using an unusual resource to find out. In the Tomatosphere project hosted by the Canadian Space Agency (CSA) in cooperation with the University of Guelph, space agricultural science is used to inspire school children. 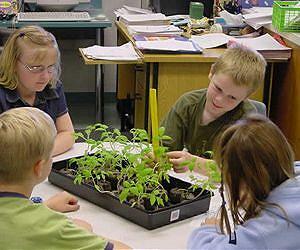 Students from third to tenth grade each year are provided with a set of tomato seeds that has been flown in space. Altogether 600,000 seeds spent three years onboard the Space Shuttle and the International Space Station before returning to Earth and landing in Canadian classrooms. The students are also equipped with a set of ordinary seeds to serve as controls. They then conduct experiments to see whether the performance of space seeds is different compared to the control group. The data obtained are then passed on to Canadian researchers. Participants of the Canadian “Tomatosphere” projects studying behavior of plant grown from seeds flown in space (Credits: CSA). The targets of the project are multiple. “These students become space-farmers, conducting experiments in their classrooms that teach them about the complexity of horticulture, inspire innovative thinking about food production off-planet, and build their scientific skills set as they prepare to become Canada’s first generation of planetary explorers,” explains Marilyn Steinberg, the Space Learning Program Manager at the CSA. In the next three years students will hopefully acquire enough data on tomato germination to prove whether this type of vegetable is suitable for space travel. The video below shows an experiment comparing plants growing aboard the ISS and in a terrestrial environment.